All our plans mean hassle-free hosting and maintenance. Find one that fits you. Access to all of our fancy features! 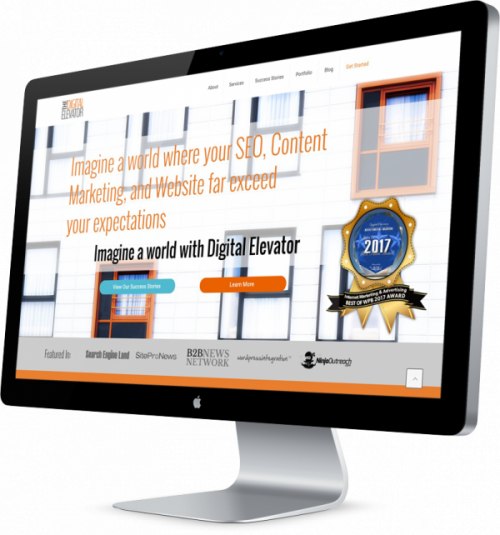 Managed WordPress Hosting with Digital Elevator is like a first-class flight for WordPress. Because we only offer hosting for WordPress sites, we are specialists at managing all the technical aspects of the platform. WHY PAY FOR MANAGED WORDPRESS HOSTING? Managed WordPress Hosting is not for everyone. It’s only for people who want a blazing fast site, hacker-proof security, nightly backups, automatic WordPress and plugin updates, and dedicated support. Wait, maybe it is for everyone. It does, however, merit a premium price. I’M NOT SURE WHICH WORDPRESS PLAN I SHOULD CHOOSE? The most common indicator of the plan you should use is your monthly visits. Most people know how many visits they get by looking at Google Analytics. If you have a smaller site, you’d probably fit nicely into our Ladder plan. If you're still a bit confused or have questions, you can always email dev@thedigitalelevator.com. WHAT IS A MONTHLY VISIT? A visit is when someone navigates to your website. A monthly visit is the total tally of each of these visits. We use this data to determine how much server resources a site needs, and price our plans accordingly. CAN I CHANGE MY HOSTING PLAN DOWN THE ROAD? Yes. If you have an awesome growing website, you can make the switch at any time without any downtime. Similarly, if you are needing to downgrade plans, you can do that too. Digital Elevator does not offer email accounts, support or service. We focus on what we are good at – hosting – and leave the email stuff to the pros. We recommend you do the same. DO YOU ONLY OFFER MANAGED HOSTING? Yes. As a hosting prospect, you have several options including shared hosting, dedicated servers and managed hosting. Shared hosting is the lowest rung on the totem pole, with lessened performance and cost. Dedicated servers are kind of like running your own little IT company in your office, and are therefore generally require a lot of technical know-how and maintenance by the owner. Managed hosting is in high demand because you get the performance benefits of dedicated hosting but you don’t have to maintain the servers yourself. In short, managed WordPress hosting offered by Digital Elevator takes all the headache out of running a server. DO YOU REALLY DO FREE WORDPRESS WEBSITE MIGRATIONS? Is the pope Catholic? Does a bear poop in the woods? Does Dolly Parton sleep on her back? Does a one-legged duck swim in a circle? Even a blind man can see that we offer free site migrations to our clients. WILL MY WEBSITE BE FASTER WITH DIGITAL ELEVATOR HOSTING? It depends on how fast you think lightening is. We use NGINX servers known for their stellar performance, low resource consumption, and you guessed it, lightning fast speed. 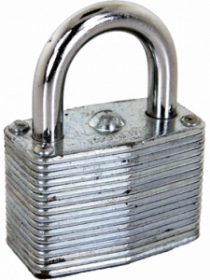 SSL certificates come standard with all hosting plans! Need more convincing? Here’s a laundry-list of features that make Digital Elevator the preferred hosting solution for our clients, developers, and other creatives. Rest assured your sites are always protected. Plus, we’ll clean up malware for free! Spam busters! You, and more importantly, your visitors, will be happy with websites that perform the way they are expected. Fast! WordPress is the most widely-used website platform in the world. What can we say? We’re capitalists. Your website gets more action than you ever will with nightly backups. Unlike your relationship, they come with one-click restore options. Having data centers closest to you means you have the best speeds possible. And yes, we even have them in Canada, Europe, and Asia. Google recommends it, hackers hate it, and visitors trust it. SSL is a beautiful thing to have, especially when it’s free. Again, billions of amazing features that make us unique! Ready to try Digital Elevator Today?